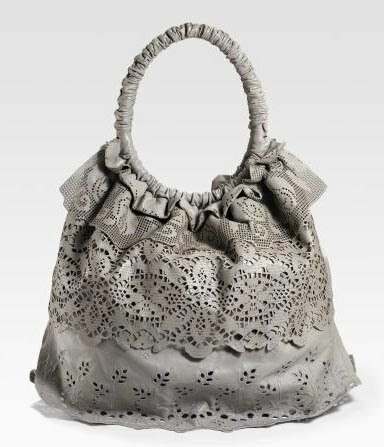 Valentino's intricate laser cut leather lace tote retailed for $3495 but is no longer available. Missed out on the original, or just couldn't stomach the price? Check out this affordable option from Charlotte Russe. It retails for a much more budget friendly $29.50 and you can click here to purchase. Melie Bianco's Melissa tote is also a great option for $80, comes in black, rose, pewter, and bronze. Click on the photo for more information. Great find, J! 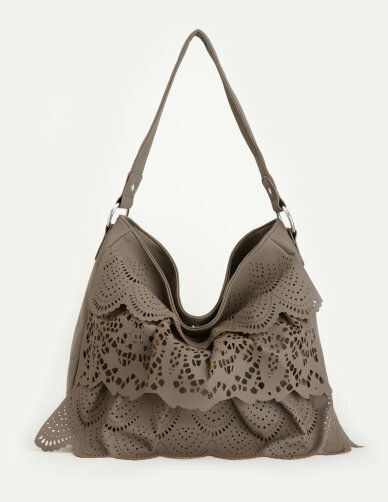 The Laceland tote was so pretty but ouch, ouch, ouch that price--ugh.